This film has inspired me and changed my perceptions greatly! I no longer shop unnecessarily, and I buy the vast majority of my clothes from jumble sales and charity shops. Take 22 minutes out of your life to watch this, and let me know what you think?! Here is another article written by Dr Jayne Donegan and posted with her permission. 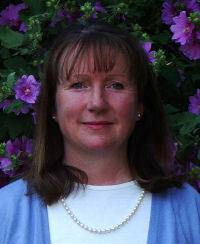 See her website for more interesting articles on childhood illness and vaccinations. ARE CHILDHOOD INFECTIONS A GOOD THING? We vaccinate against lots of childhood diseases now because we are told that having the diseases is a bad thing and leads to thousands of deaths. However, when we look at the figures from the Office for National Statistics, we see that 95% of the people who used to die from measles stopped dying before the vaccine was introduced in 1968 and similarly 99% of the people who used to die of whooping cough. The mortality rate for tuberculosis fell no differently in countries that did and did not use the BCG vaccine. Scarlet fever, rheumatic fever and typhus were deadly killers. They all disappeared without a vaccine. Why? Because the good old Victorians realised that if they did not take steps to clean up the cities after the massive move from the country to towns in the eighteenth century, everyone – rich people included – was going to die in epidemics. They cleared slums, introduced new minimum standards for sanitation, they built railways to bring fresh fruit and vegetables into the cities, they built sewers and piped water supplies (the ones that we still rely on now) and they arranged for the dead to be buried outside of towns. Why did vaccination catch on in such a powerful way? It was all to do with Pasteur and his ‘Germ Theory of Disease’. He said ‘The germs are present in the disease, therefore the germs cause the disease’. However, meeting a germ is no guarantee of catching the disease, that is why all the people on a bus where one person has ‘flu don’t get the ‘flu. It all depends on their susceptibility. It is the state of your immune system. If you are healthy and happy, you live in well ventilated housing, drink clean water and food which is not full of artificial sweeteners, additives and hormones, you spend enough time outside and somebody loves you, then you will expel completely or have mild forms of most infectious diseases. Pasteur himself said on his death bed ‘The soil is everything; the germ is nothing’, but no-one seems to remember this as we all rush helter-skelter towards protecting ourselves from the monster who lurks without rather that strengthening our immune system from within. This is because our immune system has evolved through the challenge of infectious diseases. Yes, they were scourges when they first arrived but they have been our travelling companions for a long time – it is not in their interest to wipe us out – who else would they have to infect? It’s a two way street. We let them infect us and they make us strong. The way children learn what to do with their immune system is by being exposed to lots of viruses and bacteria and learning how to deal with them (as in ‘You have to eat a peck of dirt before you die!’). They learn what is ‘me’ and what is ‘not me’ so that their immune system is able to protect rather than attack them. We see all too commonly now the effect of denying children natural exposure to these diseases in the rise in the incidence of asthma, eczema and autoimmune diseases such as diabetes. A study by Ronne in the Lancet (1985;1:1-5) showed that adults who had had natural measles with a rash had a lower incidence of various cancers, including cervical cancer. West (Cancer 1996;7:1001-1007) showed that girls who had had clinical mumps as children had less cancer of the ovaries. Scientists nowadays are talking about trying to make a vaccine of ‘dirt’, to simulate the effect of having childhood illnesses because they see how weak everyone’s immune system is becoming – city children are being told not to visit farms in case they die of E. coli. For goodness sake, a child comes in contact with E. coli every time it wipes its bottom!!! Doesn’t vaccination have the same effect as natural infections? No? Why not? Because when we vaccinate we give a different form of the organism, in a different dose, at a different age and by a different route to natural infection. This tends to sensitise rather than immunise. We are all told not to give babies below the age of six months citrus fruits, nuts, wheat or unmodified dairy products by mouth to avoid allergies; yet at the age of eight weeks (or, in the case of Hepatits B vaccination, one day) we inject them, not only with the unnatural organism, but also with mercury (thiomersal), aluminium and formaldehyde – all quite poisonous. ● Vaccination stops children having their childhood illnesses at a beneficial age (3-4years). ● Children are now susceptible to rubella and mumps at just the age when girls can conceive and boys can be made sterile. ● Antibodies from vaccination are of poor quality compared to those from natural disease. ● They do not cross the placenta to make young babies immune with the effect that children less than one year are more susceptible. This is when babies are most likely to suffer neurological damage from whooping cough and is precisely what is happening today. Because of the plethora of deaths in young babies from whooping cough, the Department of Health added a whooping cough ‘booster’ to the pre- school vaccination program and in the USA they have already added another shot to the school leaver program – when will it stop? Are childhood diseases nice to have? Are they hard work for the parents? Do you have to know how to support your child through these illnesses rather than suppress them with paracetamol or ibuprofen and non indicated antibiotics so that they come out of them stronger rather than weaker? We cannot escape these illnesses. They have been with us too long. They are part of why we are who we are. We can run but we can’t hide. The more we try to fight them with vaccines and antibiotics instead of living with them and strengthening ourselves the more we weaken our immune system and become susceptible to a whole host of pathogens – listeria, legionella, Lyme’s disease, cyclospora, not to mention the AIDS virus that no-one had heard of a few decades ago.